Ortaköy Mosque, officially the Büyük Mecidiye Camii (Grand Imperial Mosque of Sultan Abdülmecid) in Beşiktaş, Istanbul, Turkey, is situated at the waterside of the Ortaköy pier square, one of the most popular locations on the Bosphorus. 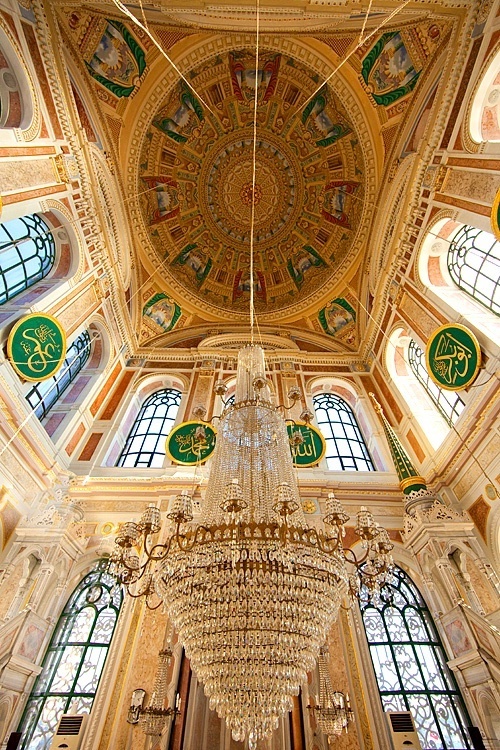 The original Ortaköy Mosque was built in the 18th century. The current mosque, which was erected in its place, was ordered by the Ottoman sultan Abdülmecid and built between 1854 and 1856. Its architects were father and son Garabet Amira Balyan and Nigoğayos Balyan (who also designed the nearby Dolmabahçe Palace and the Dolmabahçe Mosque), who designed it in the Neo-Baroque style.